This flyer for a barbeque features a sausage roasting on a stick: a BBQ classic! It also includes a small picture of a barbeque and space for writing what will be served. 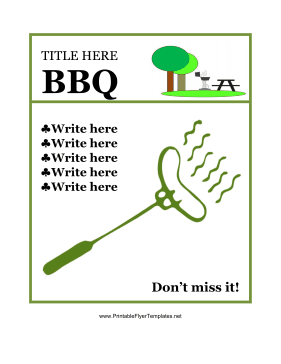 Whether you're mailing out invites or posting this flyer at work, your next barbeque will definitely be a hit.